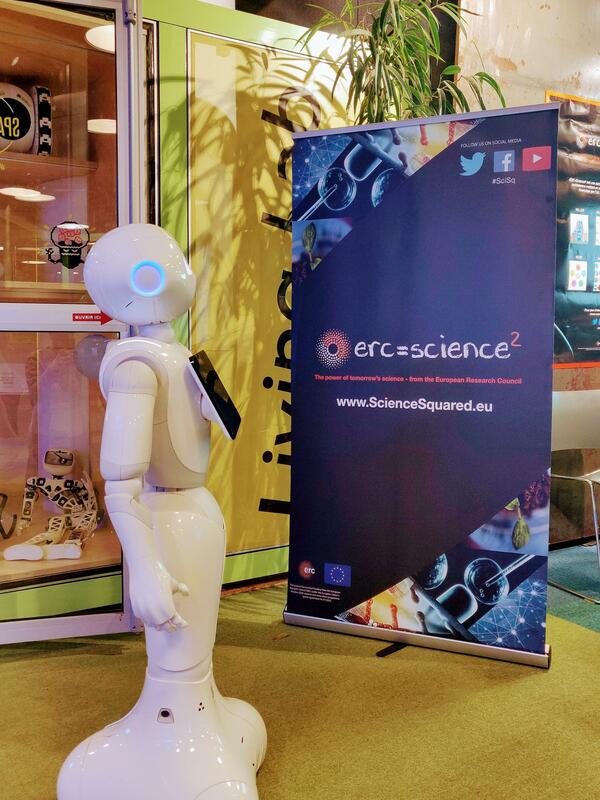 The ERC = Science2 project kicked off a series of public engagement events on the topic of Artificial Intelligence with a 2-day programme (January 19-20) of dialogue events held at Cité des Sciences et de l’industrie in Paris, France. Funded by the European Research Council (ERC), the ERC = Science2 project focuses on ERC-funded research by highlighting ongoing blue-sky research in Europe and its future impacts on our daily lives. Over the weekend, around 1.115 visitors of all ages had the opportunity to discover the A.I. research led by some of the ERC grantees featured on the project's website and presented by the researchers who attended the Science Cafés and the round table on A.I., while on Sunday, 735 people participated in the Robots creation workshop with the help of Educabot facilitators. For more information about this event you can read the official press release attached below. The last two events on the A.I. theme will take place on 25-26 February at the Technical University of Sofia, which is an event organised by the Center for Research and Analysis (CRA), and on 7-9 March the Latvian association of science centers (LZCA) is organising a series of A.I. activities at the Riga Technical University and at its Curiosity centre ZINOO in Riga. Stay tuned and get more information about these last two ERC = Science2 events by visiting the project's page! Broadening its popular and political support across Europe while raising the profile of the European Research Council (ERC) by highlighting its scientific achievements and success stories is the overarching goal of a 3.5-year project Ecsite participates in.